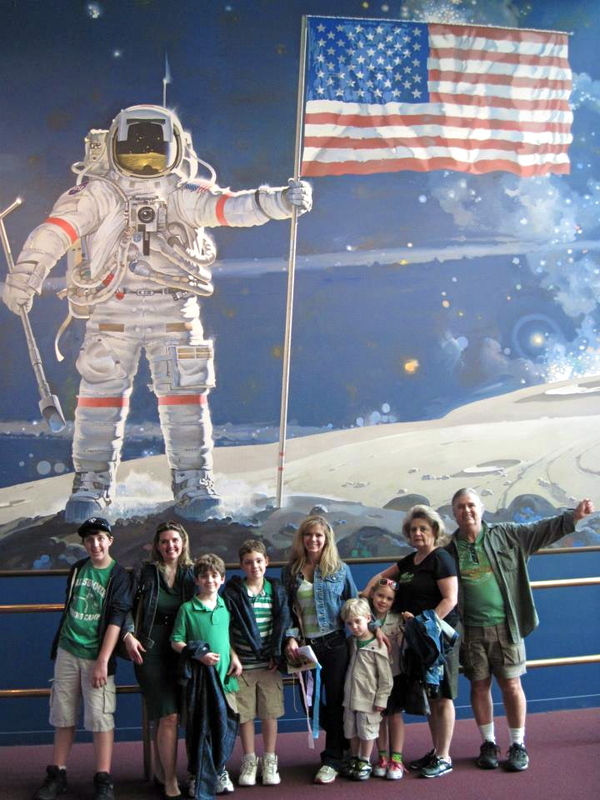 The family at the Air and Space Museum in March 2012. 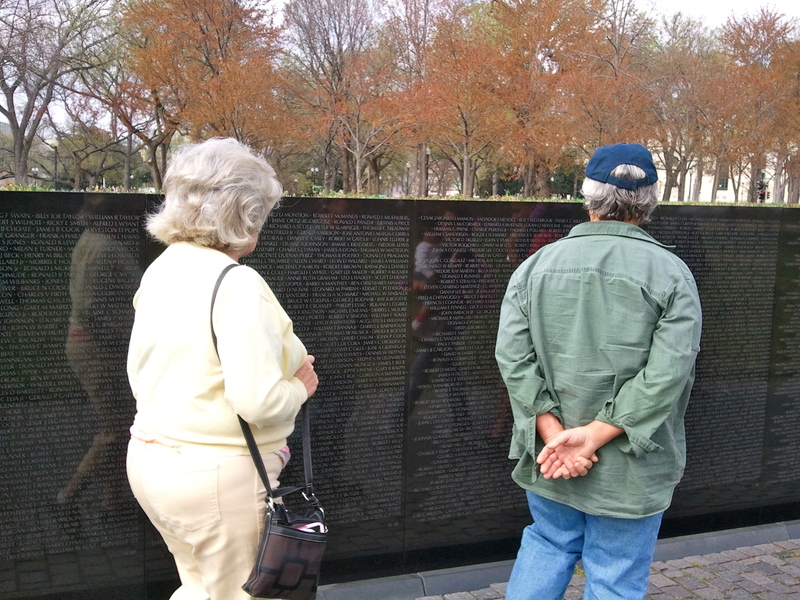 Washington, D.C. is one of my favorite places to visit and I love the Smithsonian. 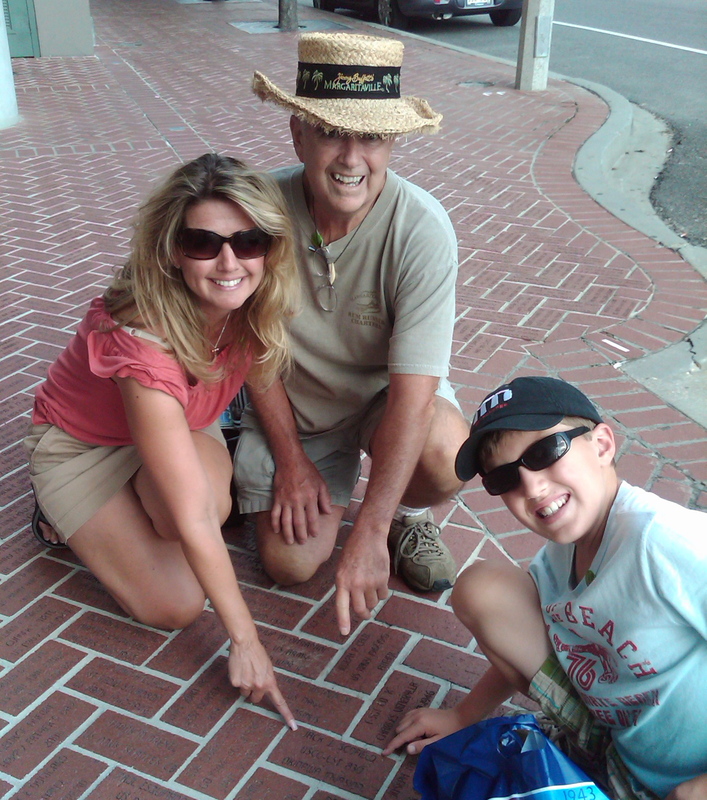 Seriously, with so many museums and exhibits to choose from there always is a reason to visit! Another great perk is that the Smithsonian museums are FREE! Okay, well I know the FREE part has your attention, but maybe you are concerned that your kids and museums might not mix and you don’t want to hear the dreaded “this is boring” whine; NO WORRIES, museums today are filled with interactive exhibits, live demonstrations, and fun family events. 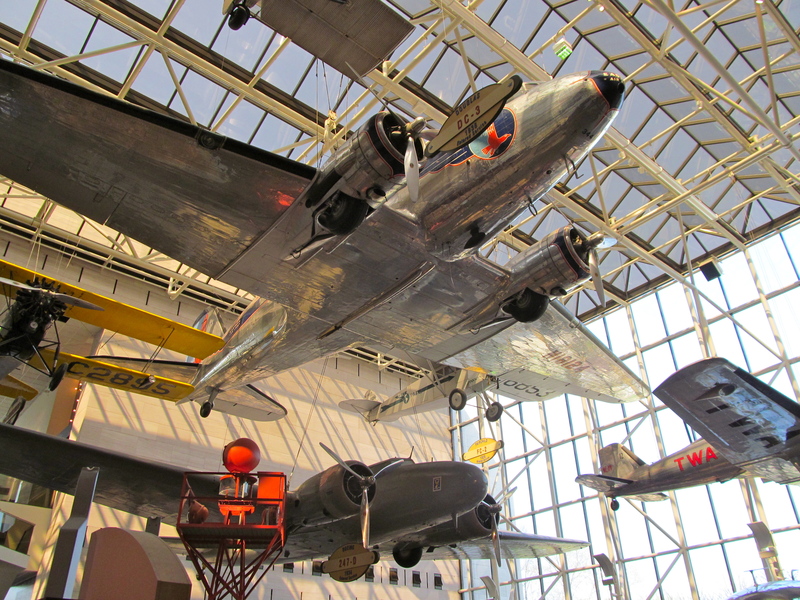 To see for yourself, check out my three exhibit picks for the National Air and Space Museum when you plan on visiting Washington, D.C. 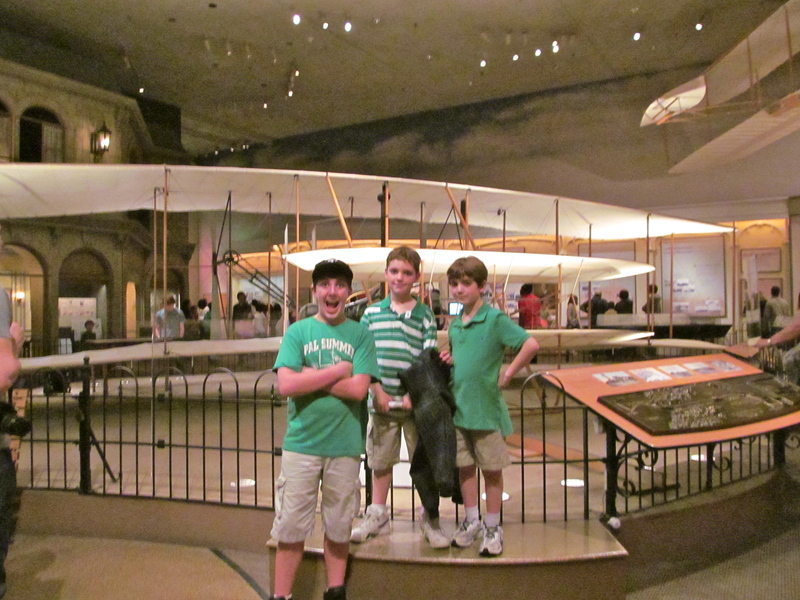 The Wright Brothers & Invention of the Aerial Age– Seeing the original 1903 Wright Flyer is pretty cool in itself. There is also 150 artifacts and 250 photographs to view, but the kids will gravitate to the hands-on stations and the computer stations which will help them understand how the Wright brothers took flight 109 years ago. 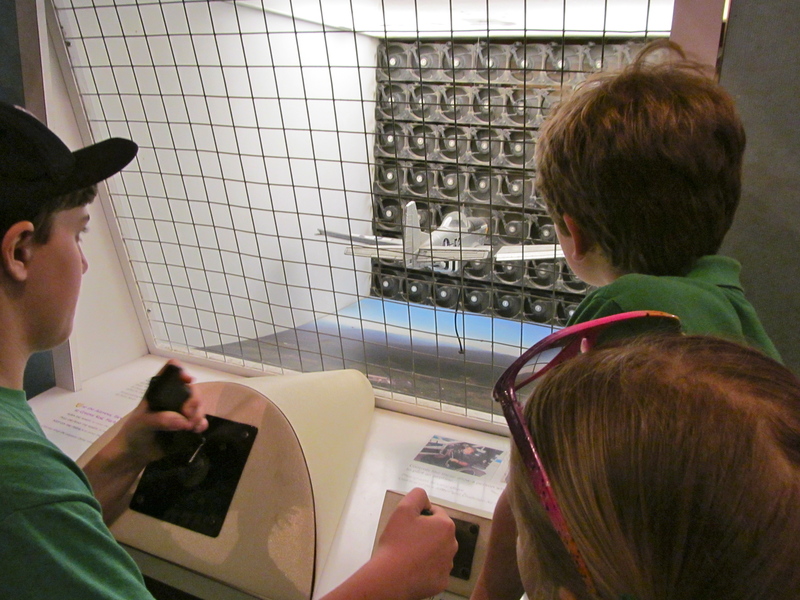 How Things Fly– Hands-on activities guide visitors through the interactive gallery which explains the principles of air and space flight. This exhibit is divided into seven sections and has more than 50 interactive activities for kids. Highlights are the model of the International Space Station and a section of the Boeing 757 fuselage. In addition there is an area where “Explainers” perform demonstrations kids can enter a paper airplane contest! America by Air– This exhibit focuses on the early years, airline expansion and innovation, propeller airlines and the jet age. Kids will have a great time checking out the cockpit of the Boeing 747 jumbo jet. 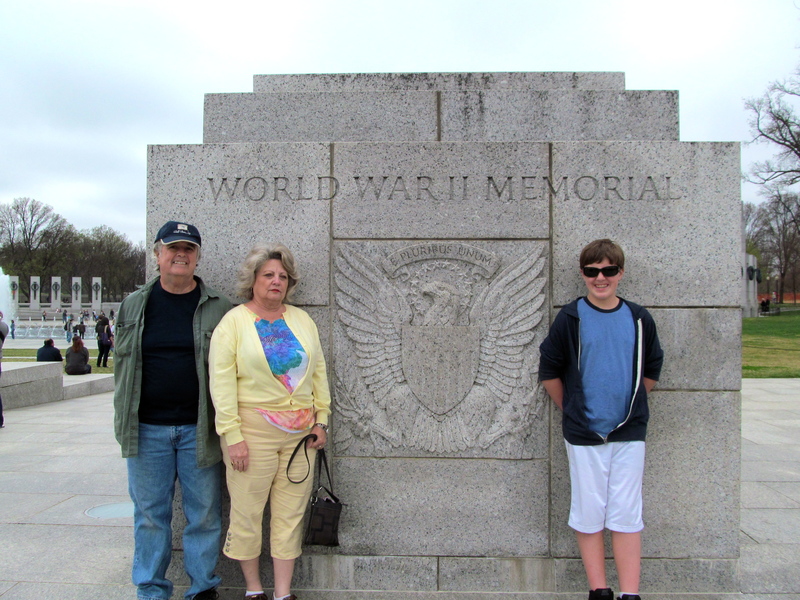 The boys with my Dad. Outside of the exhibits, kids also will love the flight simulators, the space show at the planetarium and the IMAX shows. As I mentioned earlier the museum is FREE, but these add-ons come with an admission price. 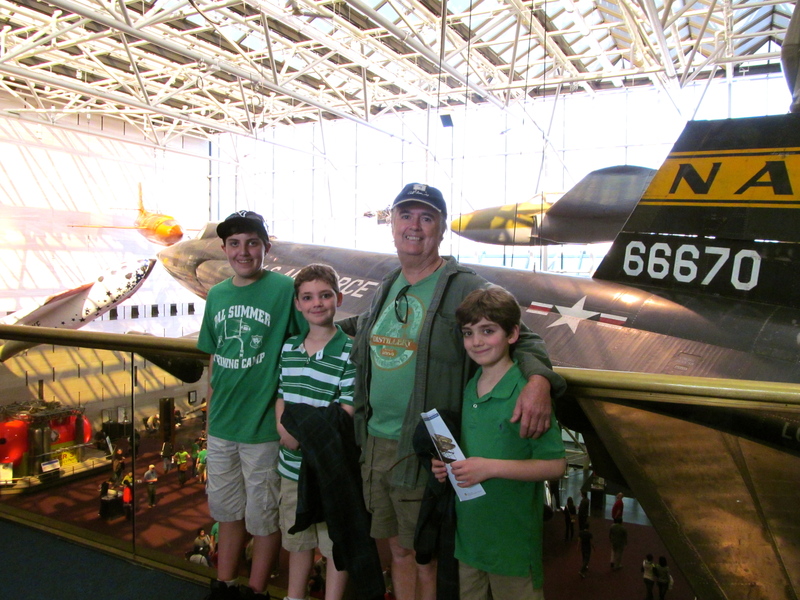 The other part of the Air and Space Museum is at the Steven F. Udvar-Hazy Center in Chantilly, Virginia. Here you will find two gigantic hangers. 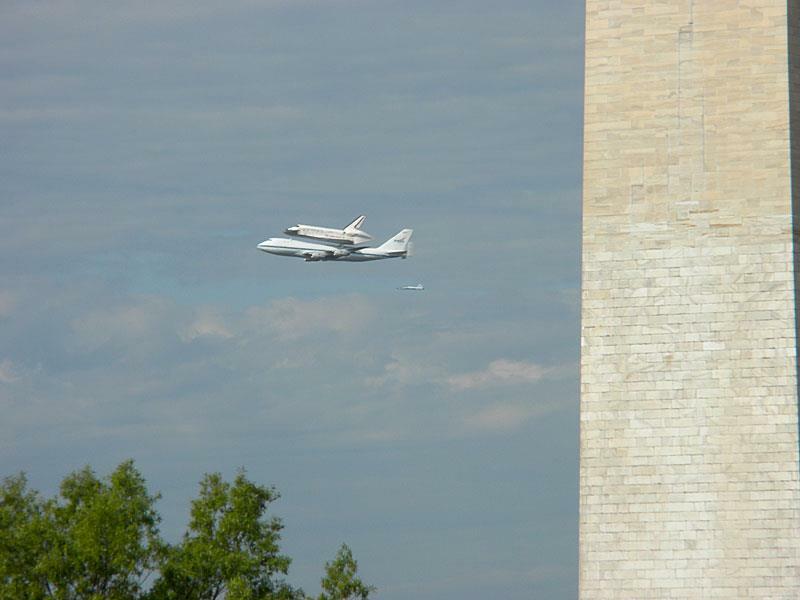 One is for aviation artifacts and one is for space artifacts – where the Space Shuttle Discovery now calls home. This place is a dream for air and space fans! Parents will have just as much fun as their kids marveling at the Enola Gay (the WWII plane that dropped the first atomic bomb) and checking out rocket boosters and spacewalk capsules. To cap off the day, make sure you visit the control tower and watch planes land and takeoff at Dulles Airport. Wearing Green for St. Patrick's Day at the Tidal Basin. 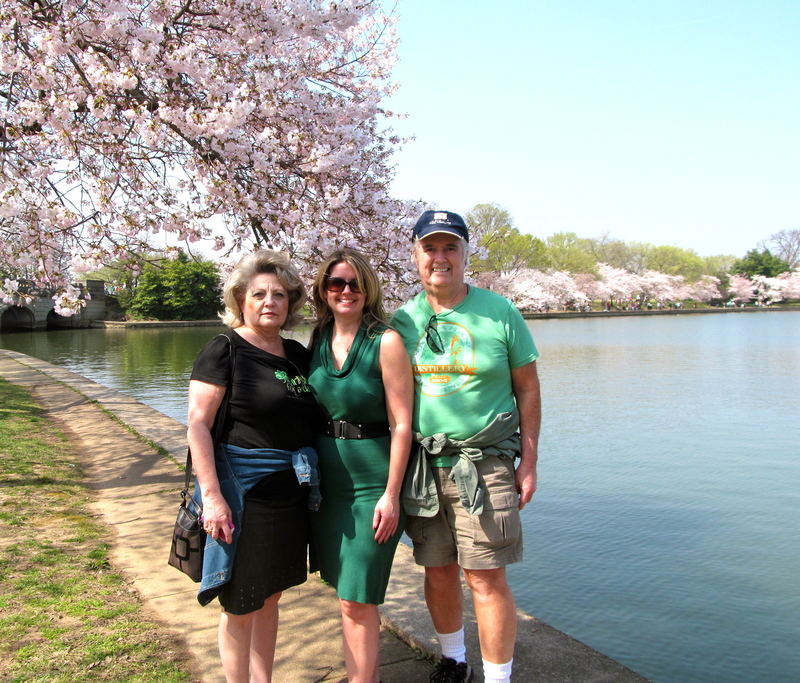 This year marks the 100th anniversary of the ceremonial planting of the Japanese flowering cherry trees along the Tidal Basin in Washington, D.C. My family was fortunate to take in the beauty of the Cherry Blossoms this past weekend thanks to spring arriving a little early. In addition to their beauty, we learned that the trees are also a historic and diplomatic landmark. 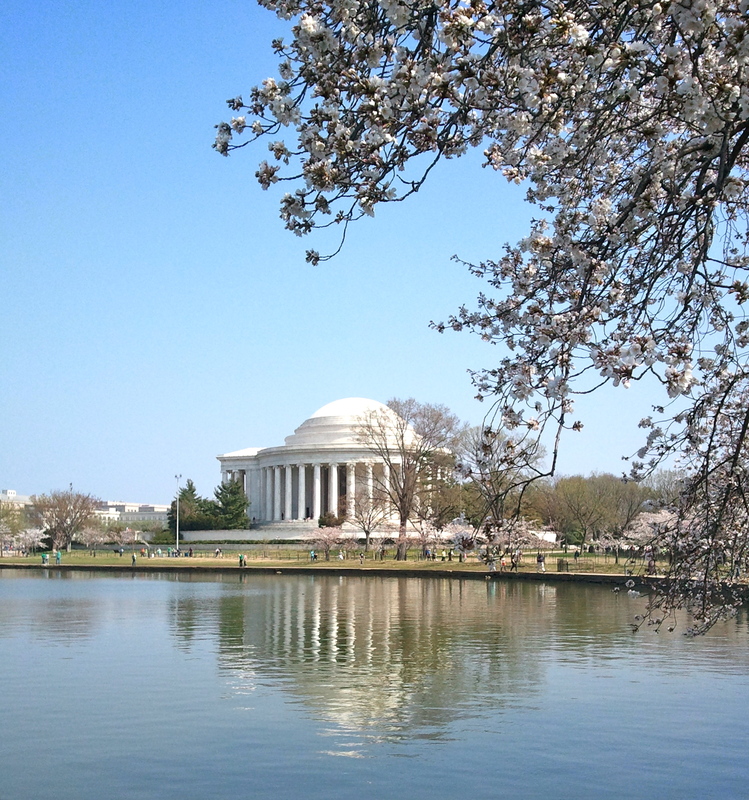 In 1912 the Mayor of Tokyo gave 3,020 cherry trees to the city of Washington, DC as a gift to honor the lasting friendship between the United States and Japan. On March 27, 1912, First Lady Helen Taft and Viscountess Chinda, wife of the Japanese ambassador planted the first two trees from Japan on the north bank of the Tidal Basin. The first “festival” occurred in 1927 when a group of school children reenacted the initial planting. 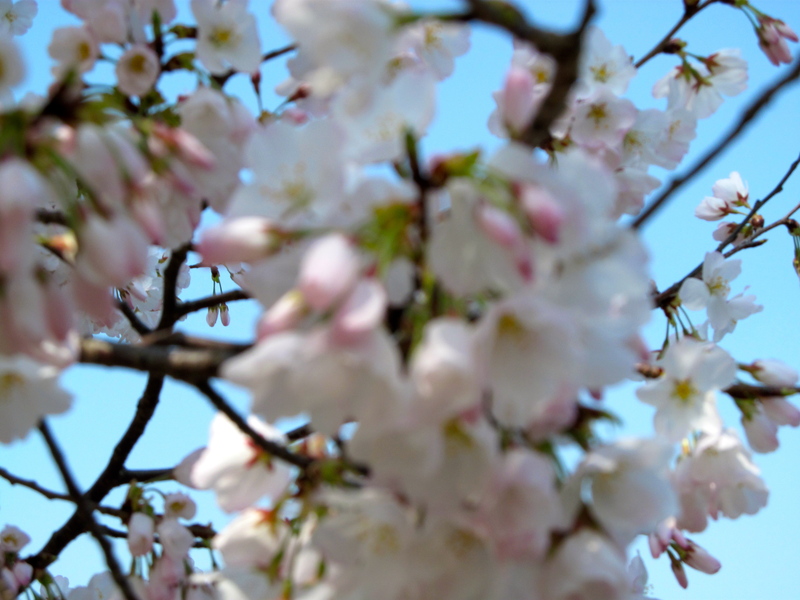 The Cherry Blossom Festival has grown since then and this year it is March 24th through April 15th. There are ranger-led programs like “Cherry Talks” and “Lantern Walks” scheduled to celebrate the 100th anniversary. Bike Tours on the weekends and 3.5 mile Cherry Chit-Chat Run on Saturdays are also scheduled through the National Park Service. Kids can also join in on the fun at the Bloomin’ Jr. Ranger Tent at the Thomas Jefferson Memorial by earning Jr. Ranger Badges with hands on activities between 10:30 am and 4 pm on the weekends. Families might also enjoy viewing the “Sea of Cherries” while enjoying a picnic lunch or from the water on a paddle boat. 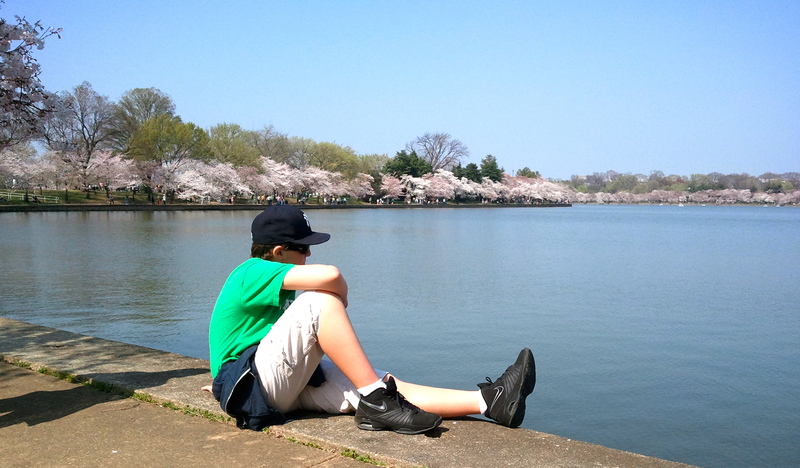 It is recommended to reserve a paddle boat in advance on-line through Tidal Basin Paddle Boats. A two passenger boat is $12 an hour and a four passenger boat is $19 hour. 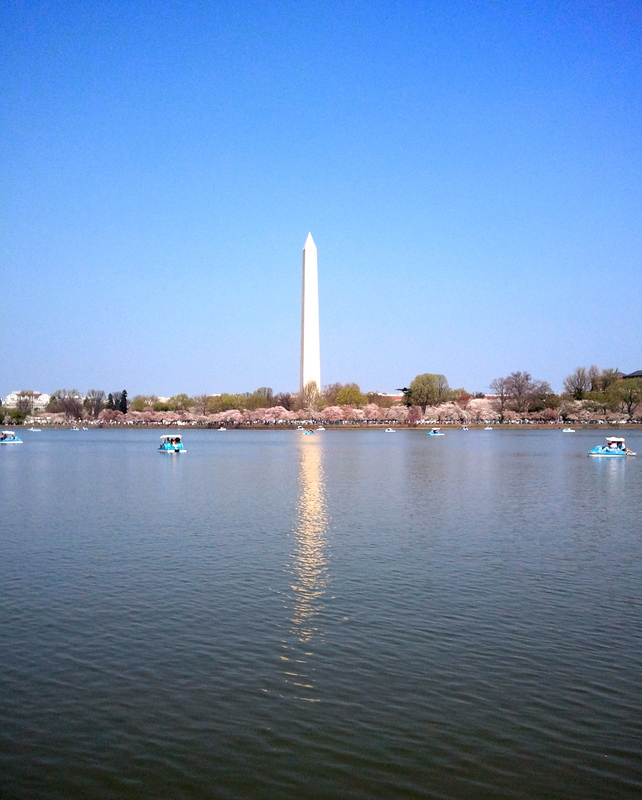 Paddle Boats on the Tidal Basin with the Washington Monument in the background. Two other events not to be missed is the Blossom Kite Festival on March 31st and the National Cherry Blossom Festival Parade on April 14th. For more information about other events check out the official site of the National Cherry Blossom Festival or download the 2012 Festival app to your phone. Taking a break from sightseeing. According to the people of Japan, the cherry blossom trees, also known as Sakura, bear a deep important symbolism that has drawn people together for generations. This past weekend these magnificent trees brought three generations of my family together. I hope your family will also be able to enjoy the same experience over the next two weeks by celebrating 100 years of the gift of trees. 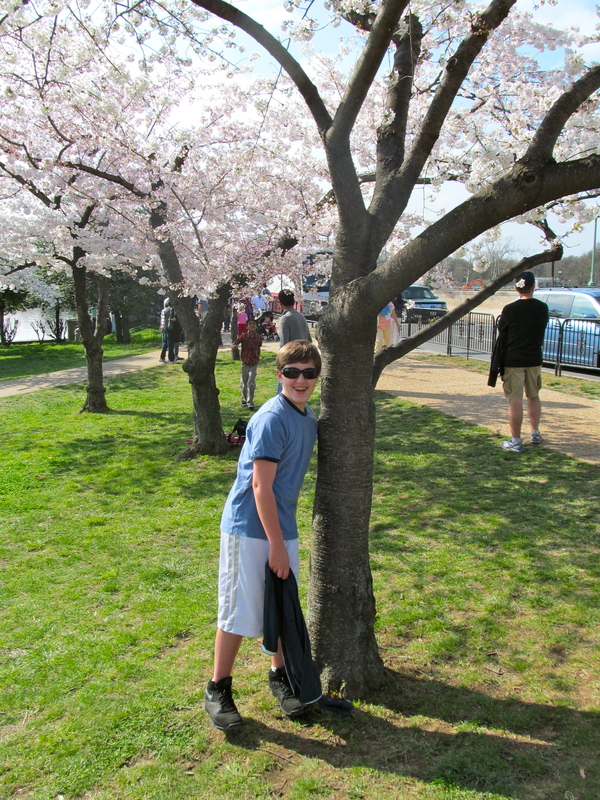 100th Anniversary of the Cherry Blossoms.